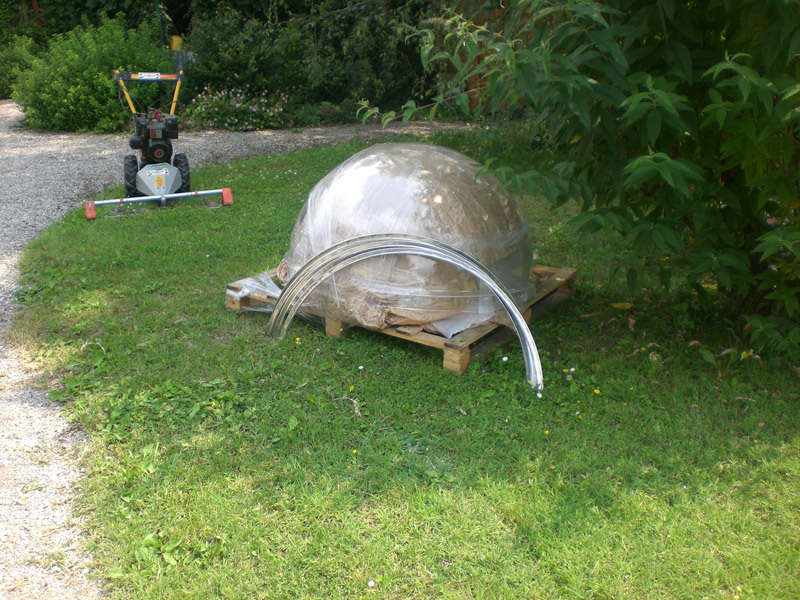 In this case it was impossible to bring the complete collector into the garden. 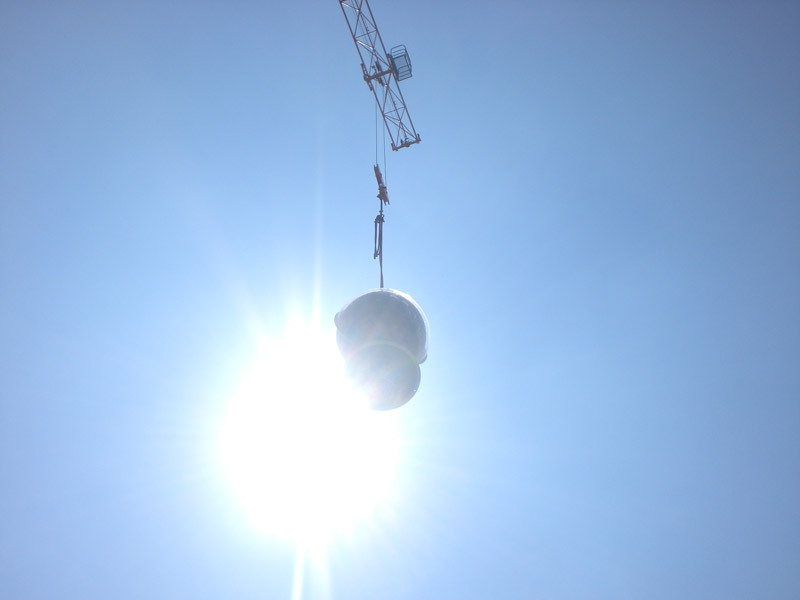 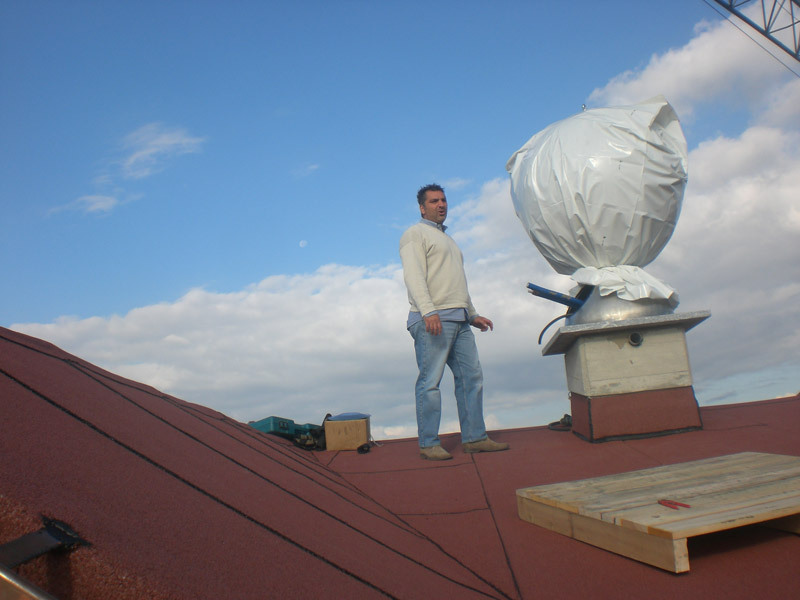 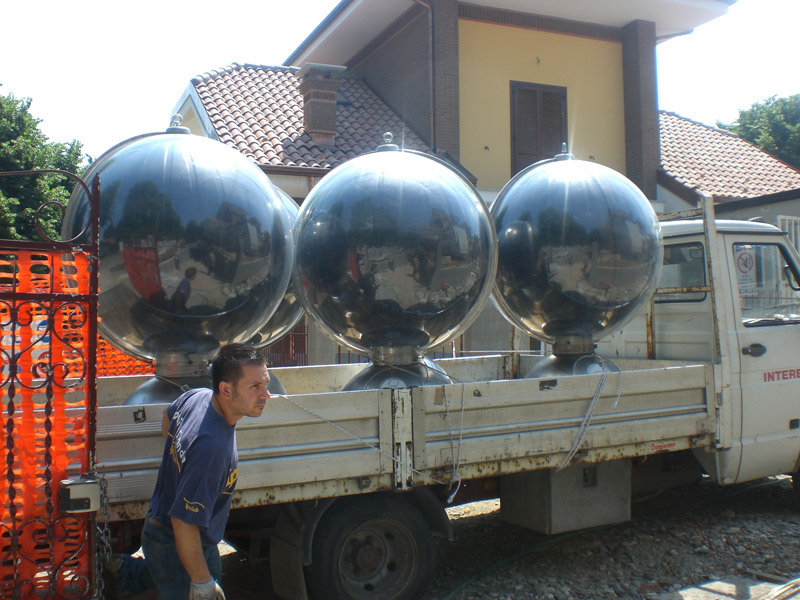 We thus sent a complete component kit and a special team of operators assembled and installed Sferasol™ on site. 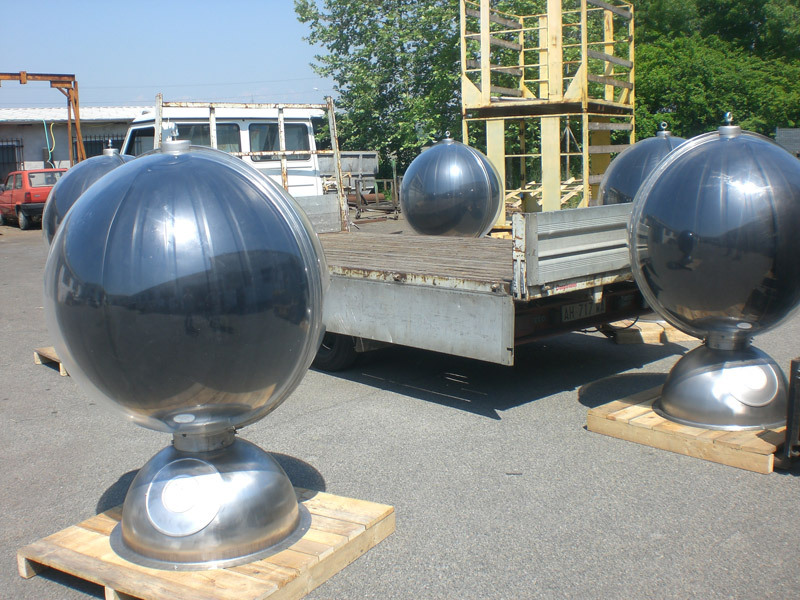 We can indeed provide assembly teams able to assemble collectors on site, meeting our top quality requirements and certified procedures. 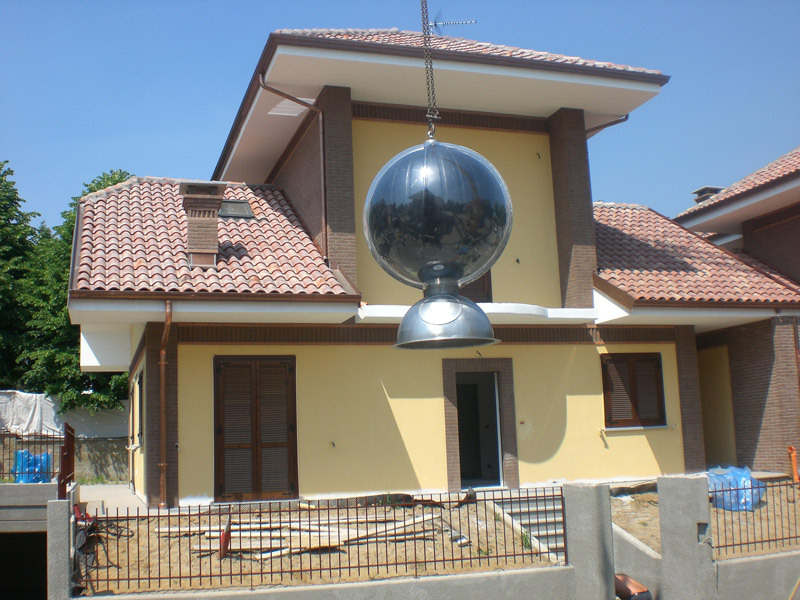 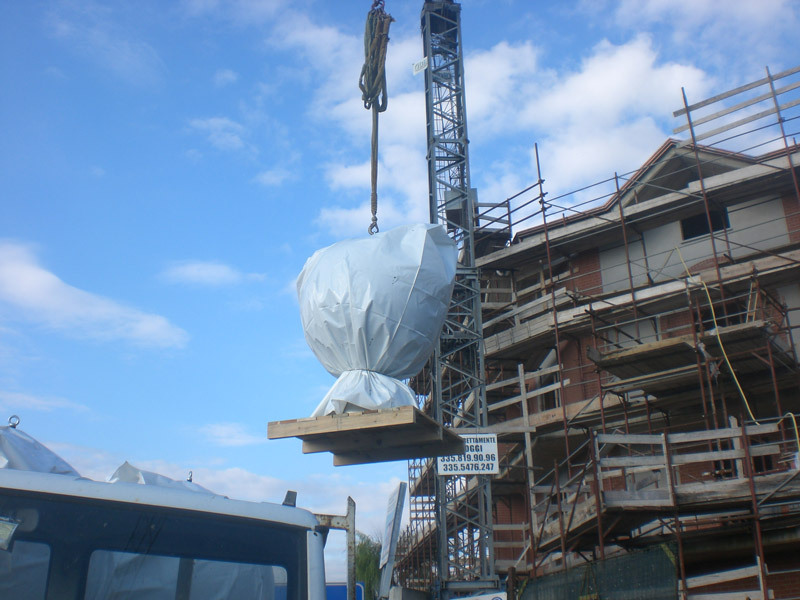 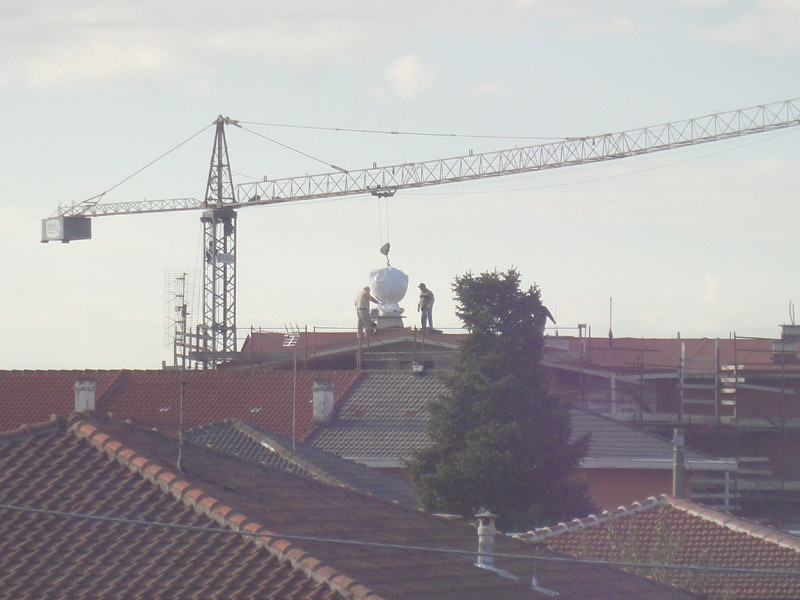 We installed Sferasol within several building sites. 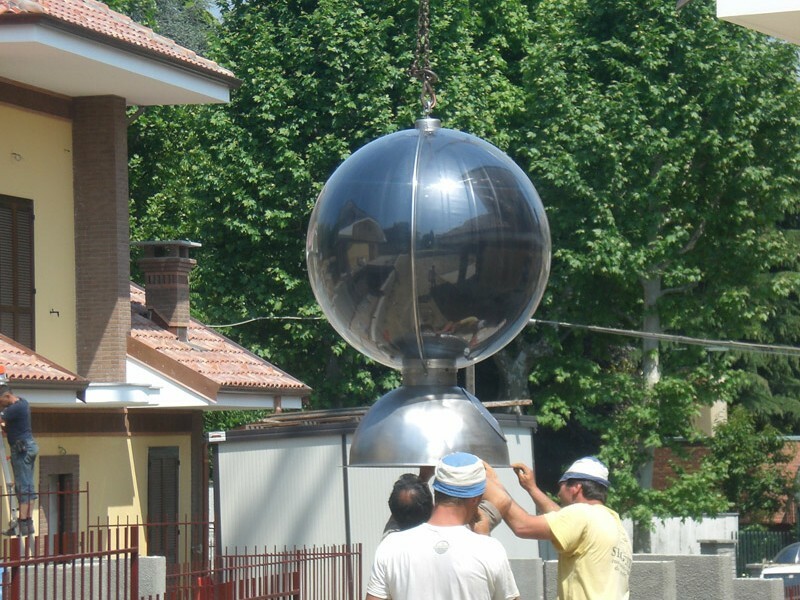 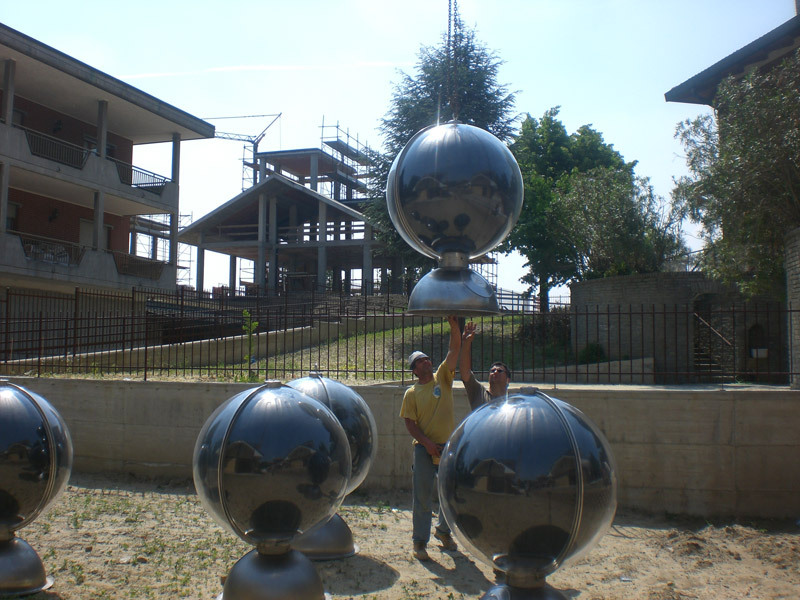 In these cases, once interiors are done, and connections to the water supply are predisposed, Sferasol send the collectors directly to the construction site for the installation. 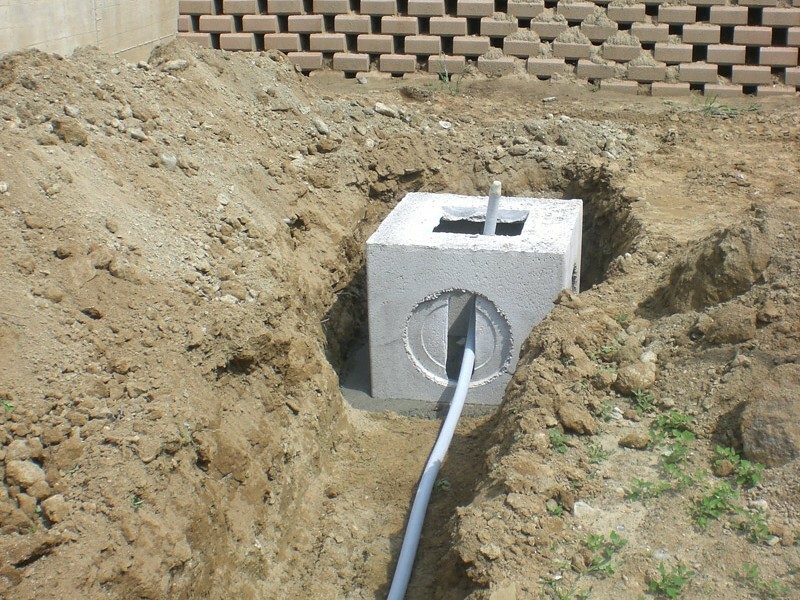 The plumber has just to connect pipes and power supply. 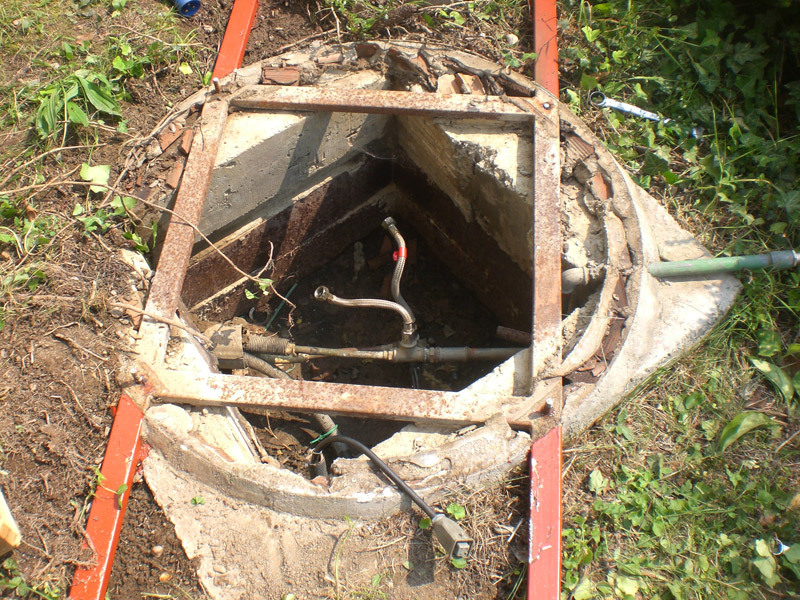 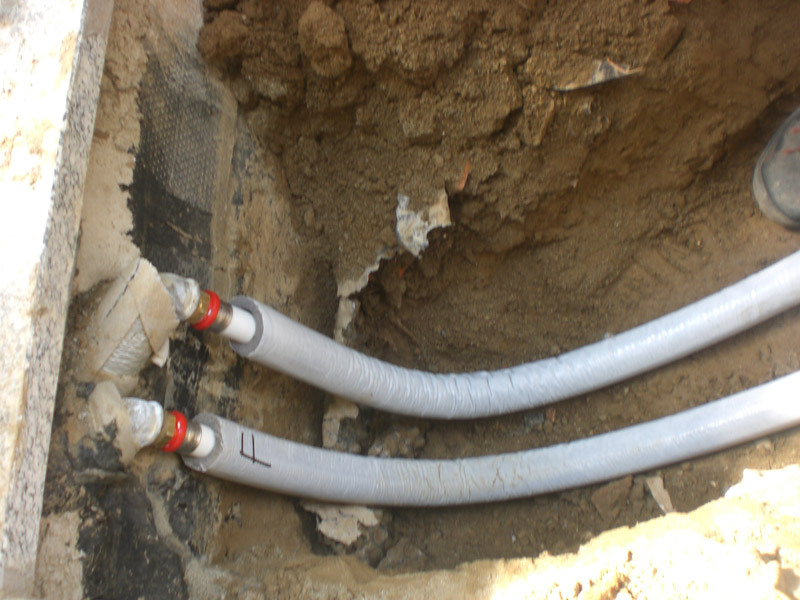 Usually water pipes, made by thermal insulated copper tubes, are laid into a 40-50 cms deep dig. 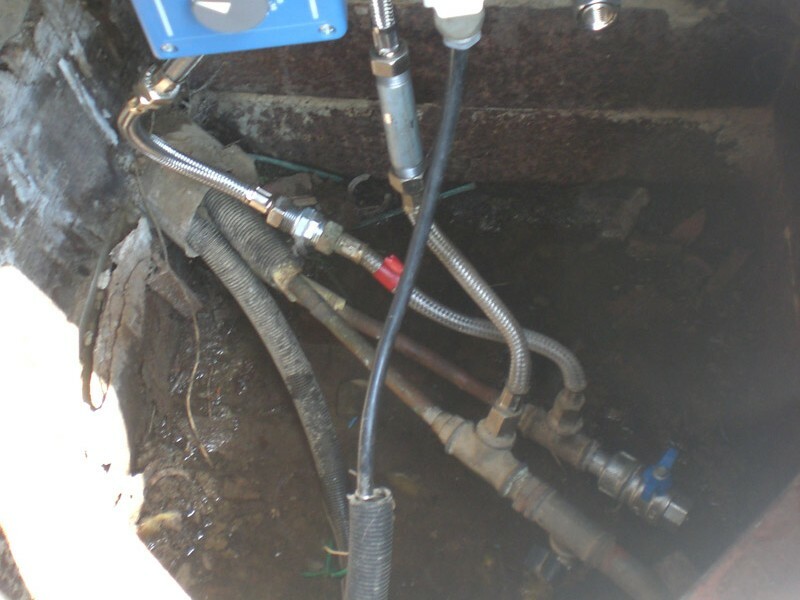 After that, the connection to boiler and water supply is straightforward. 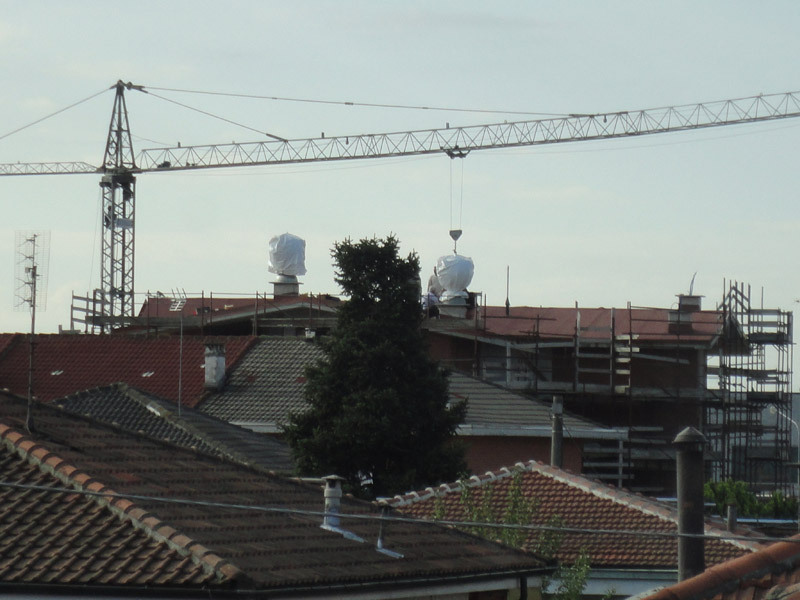 Roof installation is rather unusual for Sferasol™. 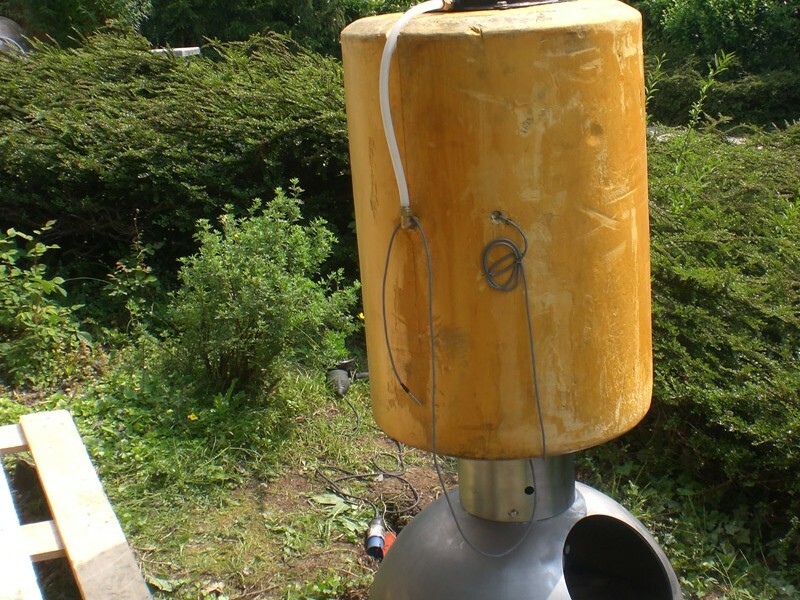 In this case, water supplies are brought down along the chimney and then connection is simple fast as usual. 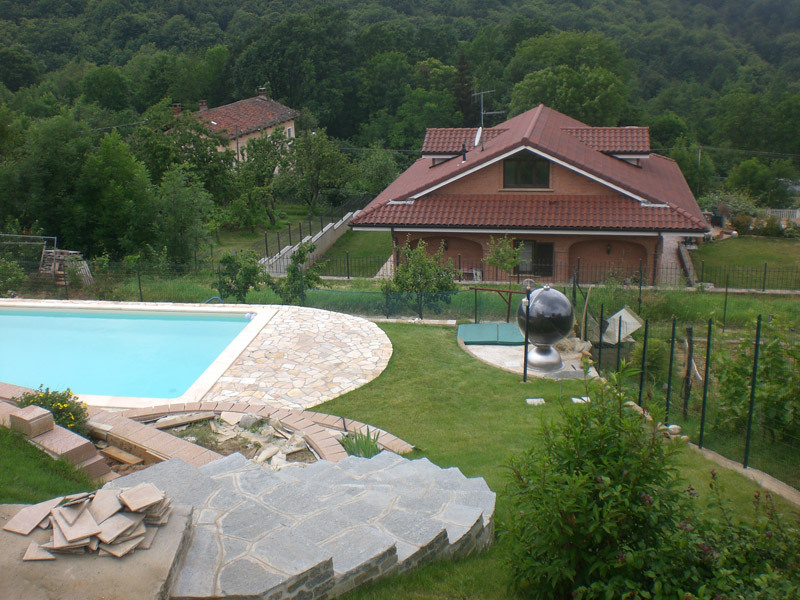 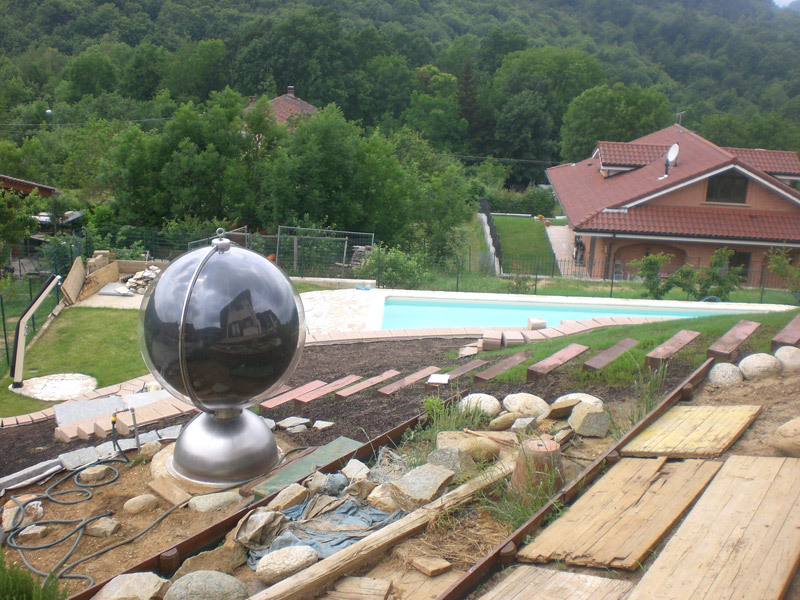 One of the most appreciated applications of Sferasol™ is in combination with swimming pools, for water temperature maintenance. 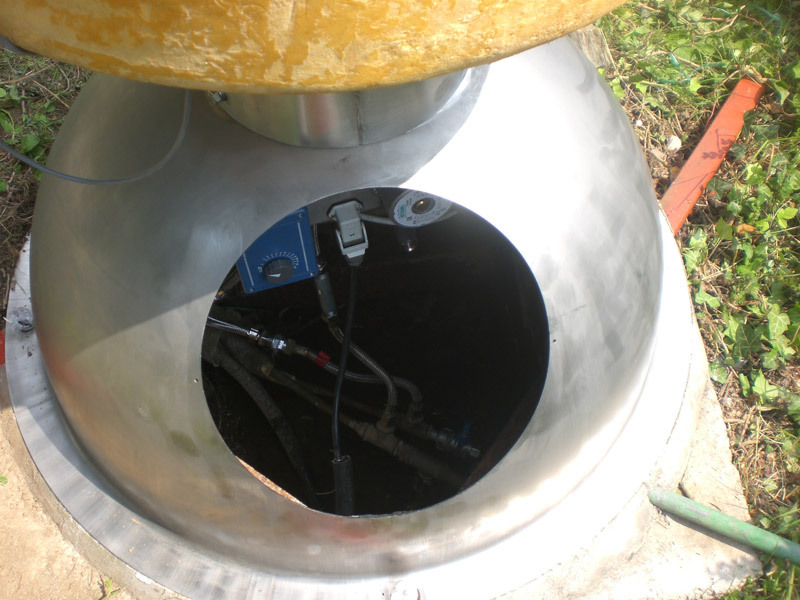 In these cases we use the model without water tank SF-A. 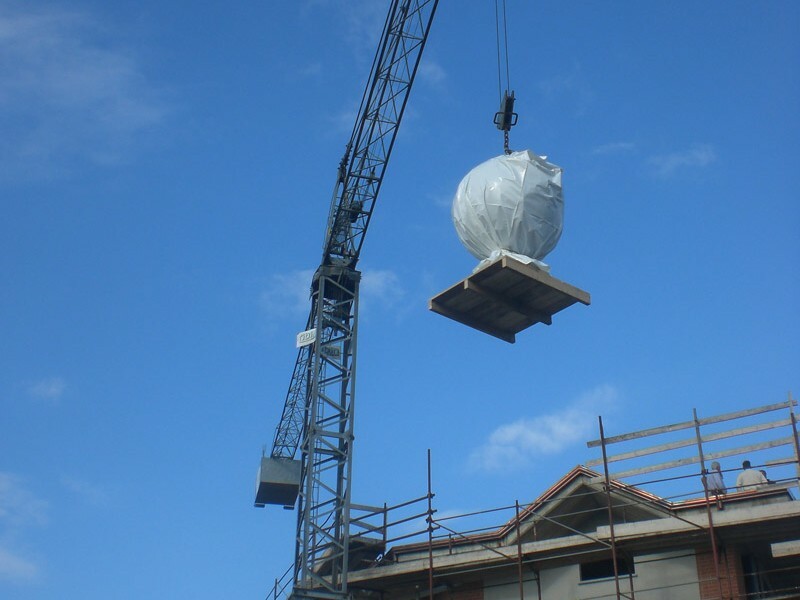 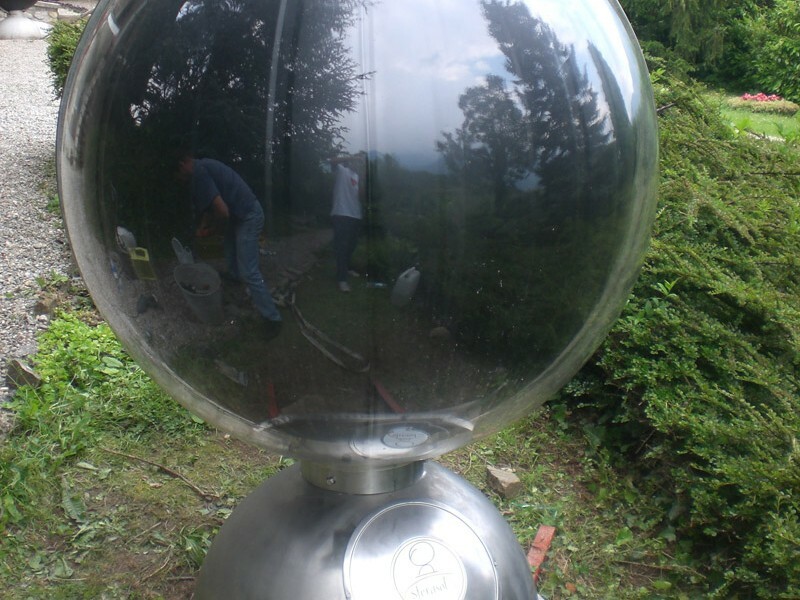 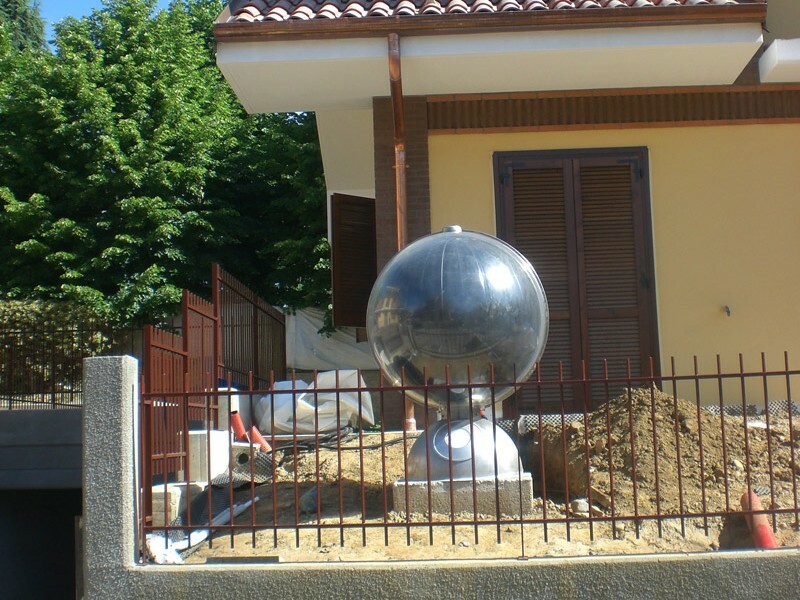 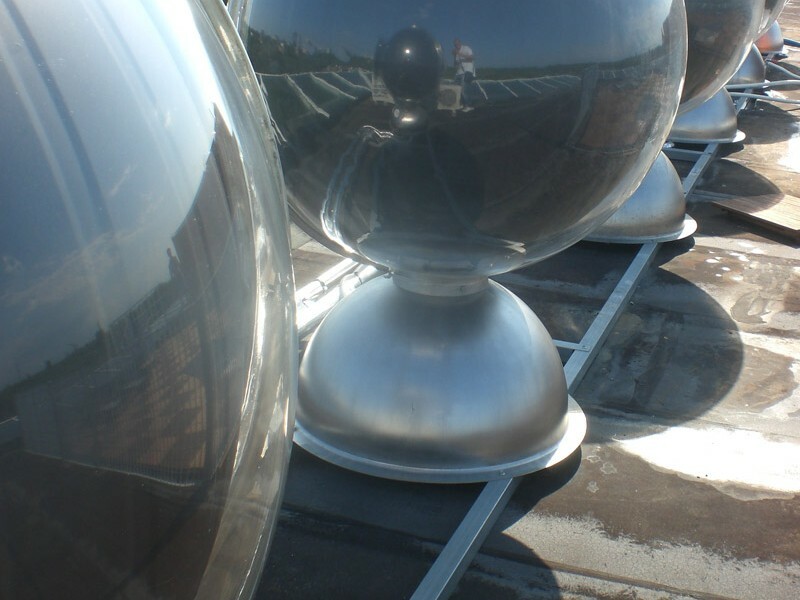 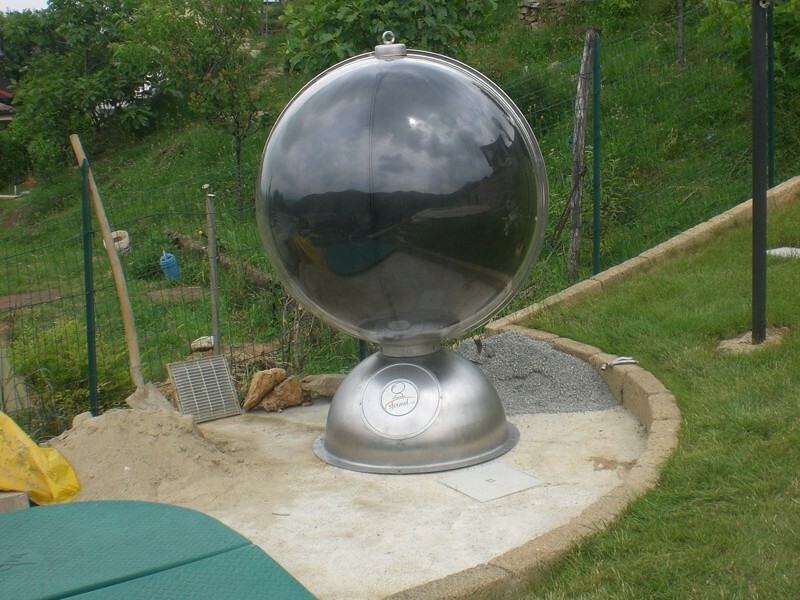 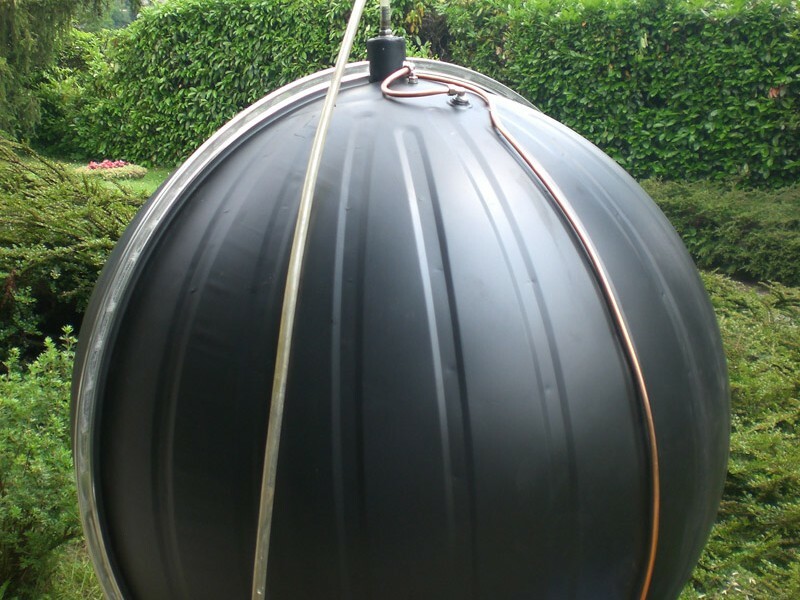 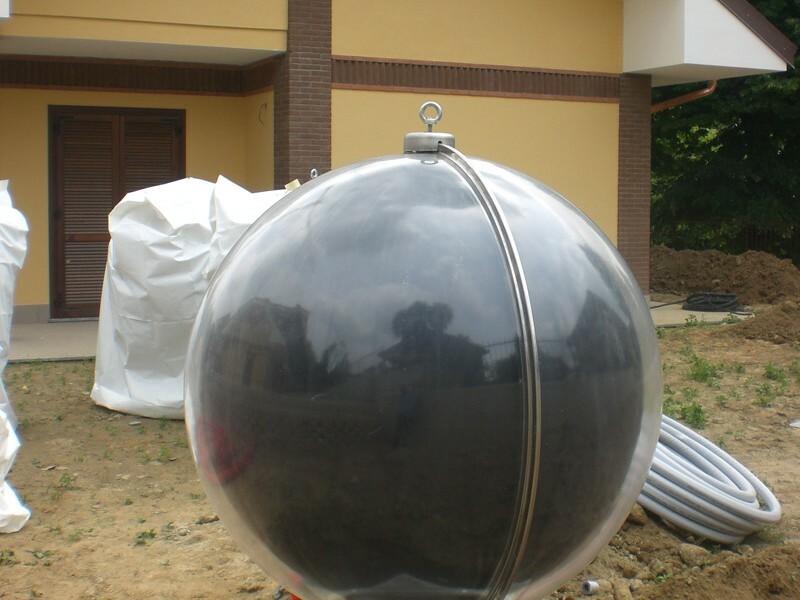 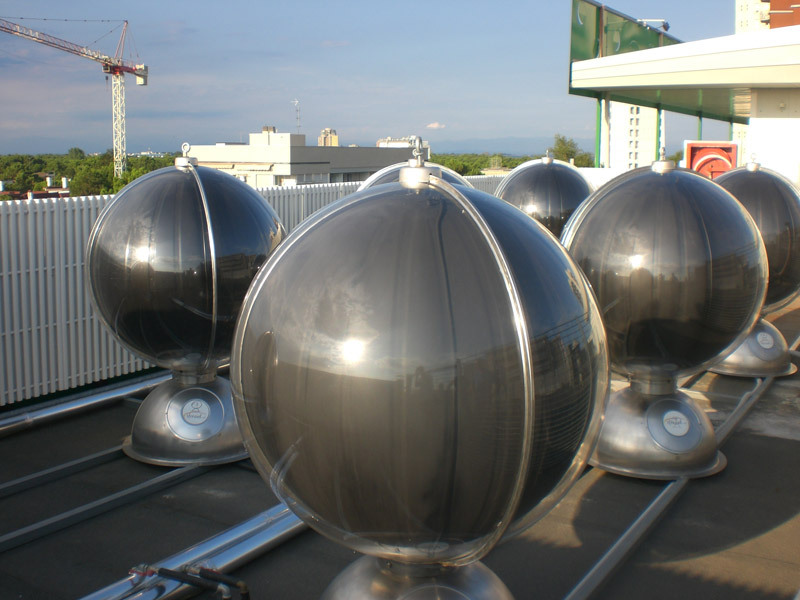 The sphere is directly connected with the pool heat exchanger, through an external pumping system. 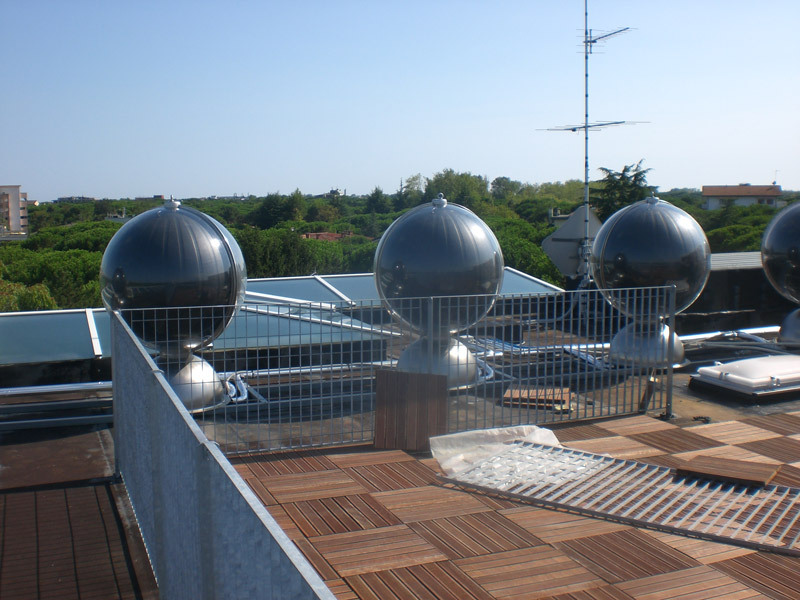 The advantage of this solution is the simple network scheme and the aesthetical impact, where you can avoid flat panels all around in the garden. 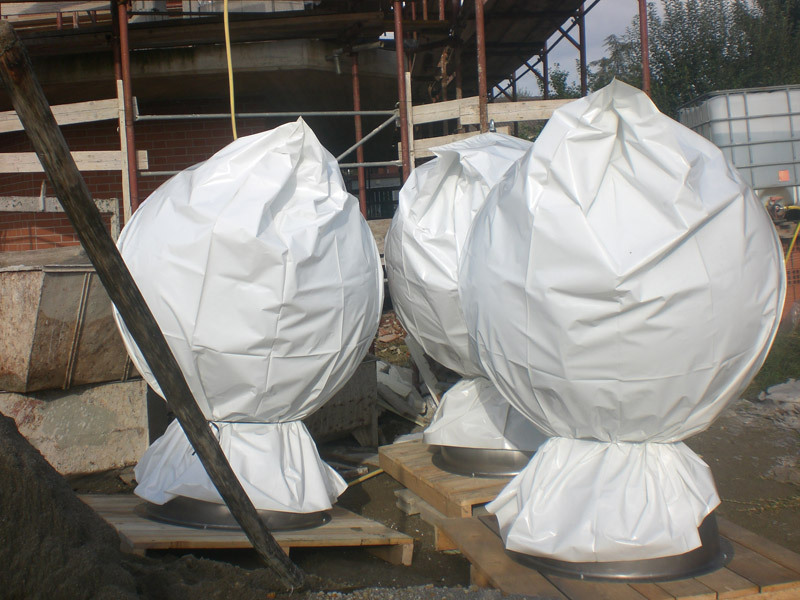 Hospitality structures are faithful customers of Sferasol thanks to the huge quantity of hot water they need. 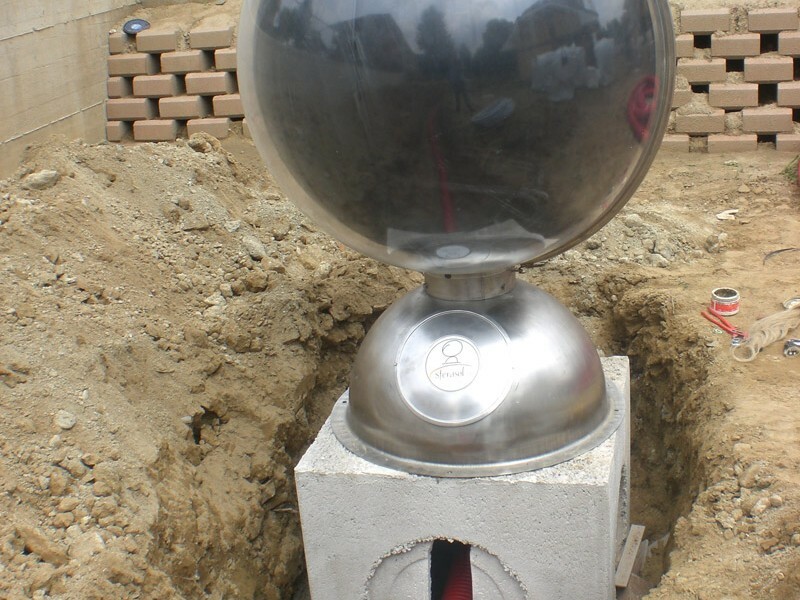 Sports Centers benefit from Sferasol simplicity, its fast generation of hot water, and its high output in evening hours. 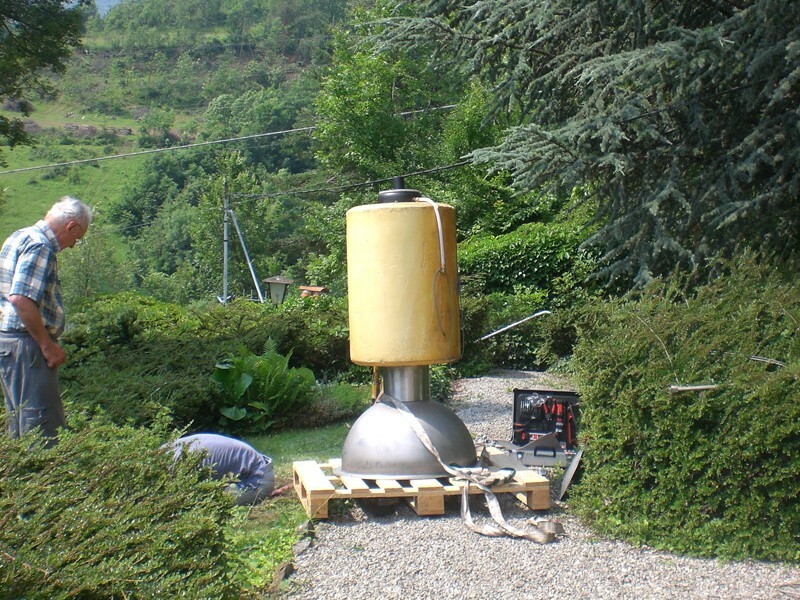 In April 2009, on the occasion of the terrible earthquake in Central Italy, Sferasol has given their thermal collectors to the National Patrol. 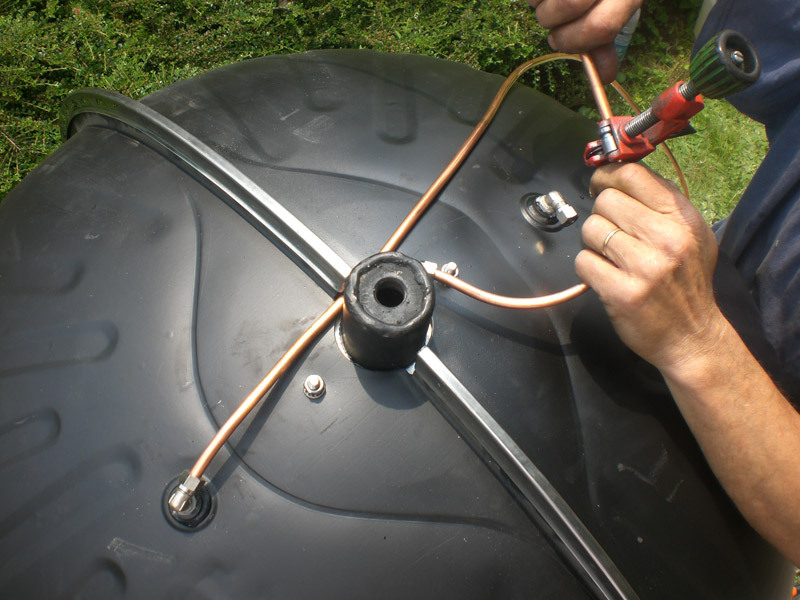 In the beginning of spring, there was a high need of sanitary hot water, but to install thermal water heaters in such an emergency it was almost impossible. 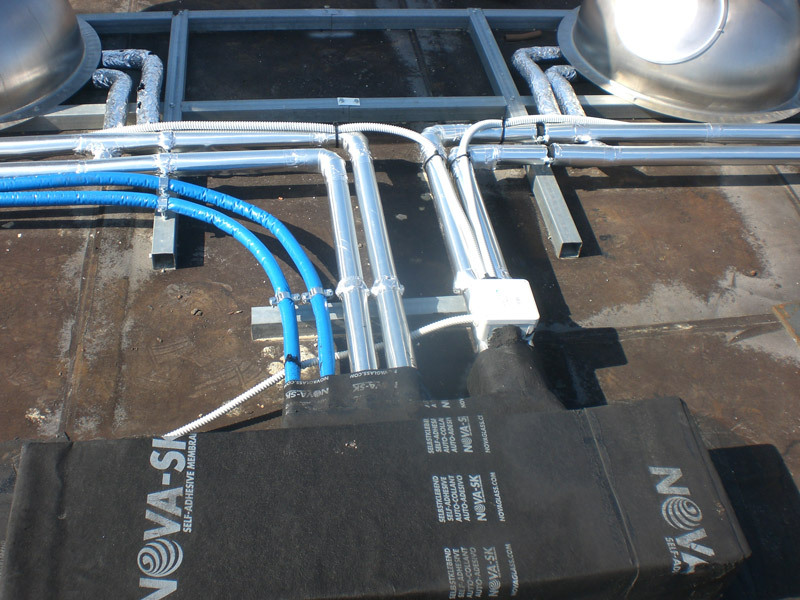 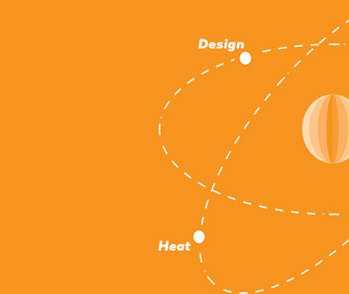 Sferasol™, being fully integrated, could immediately supply hot water to user outlets.